When the economics department posted a message on its Web site in January asking former students of Professor John Moorhouse to share their memories of him for a retirement tribute, accolades poured in from around the country. His life’s work in Wake Forest’s classrooms across four decades elicited tributes from scores of grateful former students — now attorneys, bankers, business executives and university professors — on the difference he had made in their lives. Moorhouse retired last December as the Archie Carroll Professor of Ethical Leadership after teaching at Wake Forest for 37 years. He continues to live in Winston-Salem with his wife, Fran. For many of the students who “majored in Moorhouse and minored in economics” — as one former student put it — he was the most demanding professor and his classes the most challenging, and the most valuable, they ever had. With his formal style in dress and demeanor — he always referred to students as “Mr.” or “Ms.” — he was an imposing figure in the classroom. His tough questions stimulated many a memorable classroom discussion, but pity the poor student who showed up for class unprepared — probably for the last time — once they experienced his soft-spoken, but direct and often witty admonishment that perhaps it would behoove them to study next time. “I remember him as a wit, a raconteur, a scholar of deep knowledge, and a teacher with a remarkable ability to make his knowledge accessible to students,” said Jacob Lyles (’05), an investment-banking analyst with Friedman Billings Ramsey in Arlington, Va.
Students visiting his office on the eighth floor of the Z. Smith Reynolds Library, or, for the last 14 years on the second floor of the old law school in Carswell Hall, could expect wise counsel and encouragement, and some stern advice if the situation called for it. His classes in microeconomic theory and monetary theory provided a solid foundation for students pursuing careers in banking or finance or other areas. A native of Pennsylvania, Moorhouse graduated from Wabash College in Indiana, a small liberal arts college for men — where he was a champion debater — and received his Ph.D. in economics from Northwestern University. In 1969, he joined the Wake Forest faculty as only the fourth professor at the time to teach economics in the Charles H. Babcock School of Business Administration, which was then beginning its transformation into a graduate school; undergraduate courses in economics, as well as accountancy and business, were shifted into the college. (The economics department has 16 professors and instructors today.) Moorhouse received the University’s Excellence in Teaching Award in 1972. His research touched on a broad range of interests, from housing and rent control, to insurance, electric utilities and federal spending. Brent Wanner (’03), a mathematical economics major who plans to pursue a Ph.D. in economics, co-authored a recent paper on gun control with him. “He was generous to include me in his work, and in many ways made me feel as though I were a colleague collaborating on the project instead of simply a student,” he said. 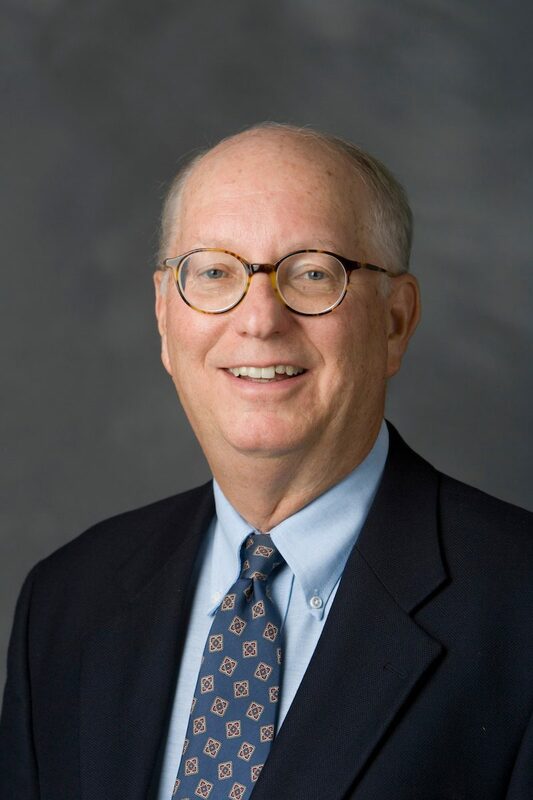 As chair of the economics department from 1981 to 1985, Moorhouse led a restructuring of the economics core curriculum that is still in place today. He created the Law and Economics course and sent many a student on to law school — which he had once considered himself — prompting colleagues to gently chide him that more of his students were pursing careers in law than economics.